Romar Pest Control has been a locally owned and operated pest control company since 1974 and is always striving to provide dependable pest and termite control services for our neighbors and friends throughout Central Nebraska. 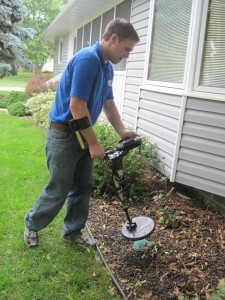 Our technicians have years of experience delivering the most effective and affordable residential pest control. Our professionals will always implement an integrated approach to pest management, ensuring your home is thoroughly inspected, the pests eliminated and exclusion methods are applied. Pests can threaten your family and your home; don’t wait to have an out-of-control infestation before addressing your home’s pest control needs. During the initial inspection, we will suggest a plan of action tailored to the needs of your family and property, ensuring that all of the pests threatening your home are addressed. We offer various pest control treatments, such as quarterly and monthly service, designed to fit your busy schedule and will always retreat free of charge between treatments if the pests return. Romar Pest Control’s professional technicians are experts in termite control, cockroach removal, rodent control, spider and ant management and bed bug extermination as well as many other pests that threaten home owners. 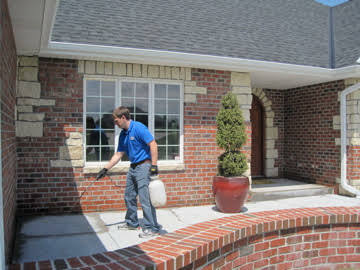 Give us a call today for a free estimate and see how Romar Pest Control can remove the pests threatening your home!